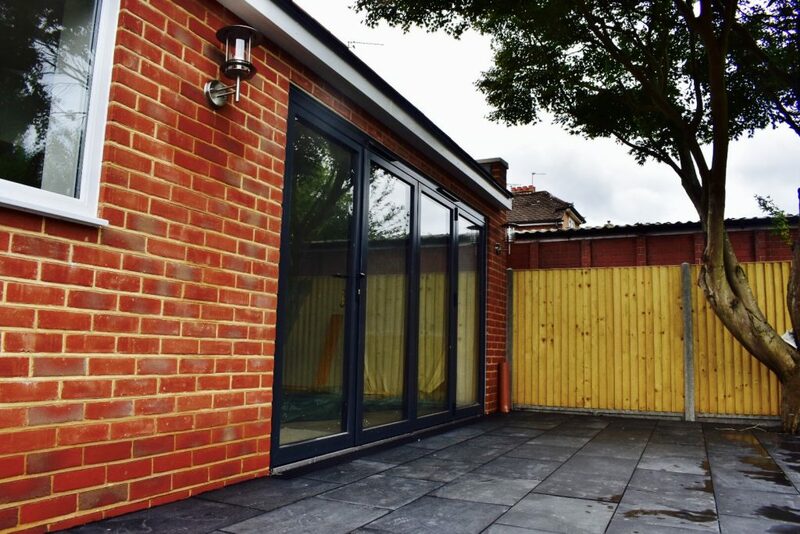 4 Panel Bifolding door, Ral 7016 Grey Anthracite accompanied with black furniture and low threshold. 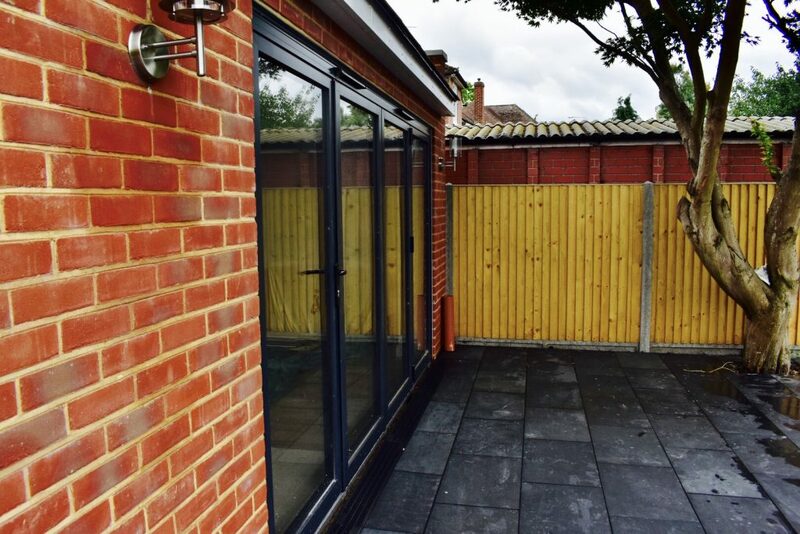 What better way to open up a small space then with Bifolding doors? 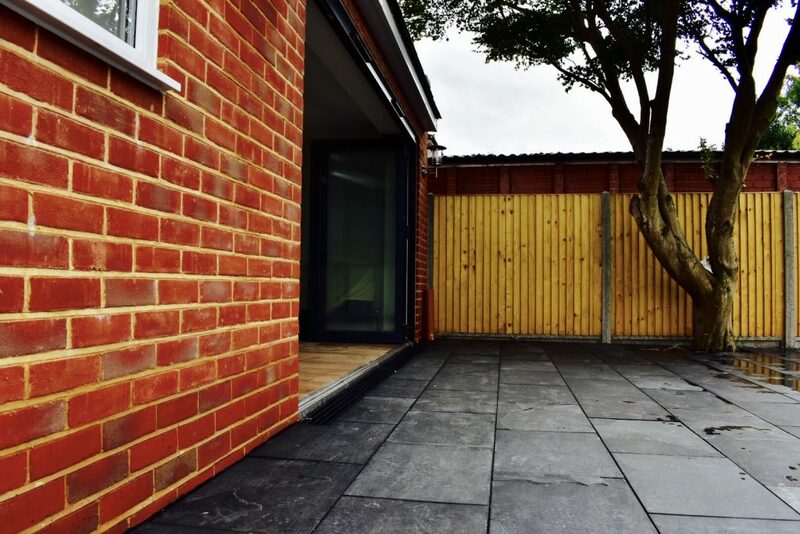 They allow you to have just the right amount of opening to bring the outside in without hassle. 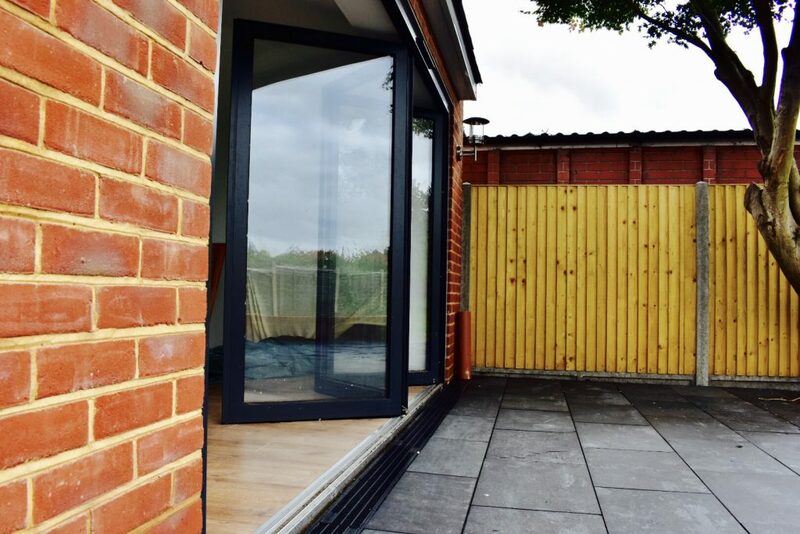 With a 4 Panel Bifolding Door, you have a configuration of 3-1 or 1 -3 where the customer can enjoy a single ‘orphan door’ in the colder months whilst still retaining the option to open up the entire door system in the summer. 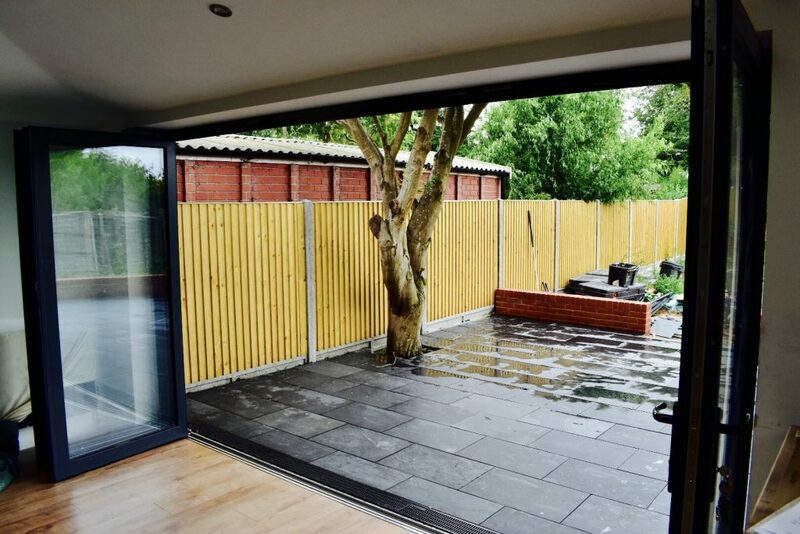 4 Panel Bifold in Ral 7016 Grey Anthracite accompanied with black furniture and trickle vents. Opening internally with the door configuration of 1-3.